Every year Pantone declares a color of the year based on current atmosphere and trends amongst the fashion and design communities. 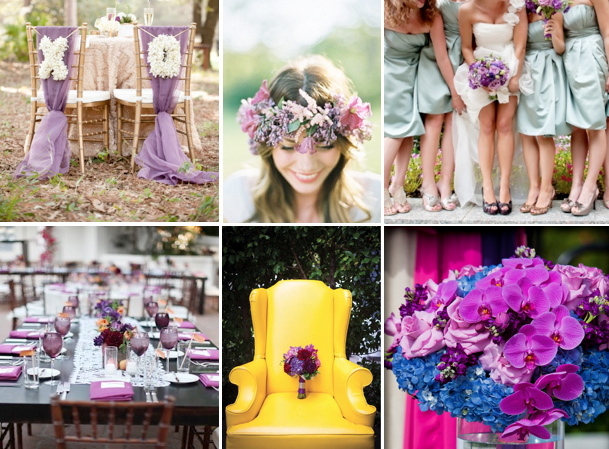 This year’s radiant orchid is a fantasy combination of purple, pink, and fuchsia undertones. Here are our thoughts on why this color is destined to be an all-around favorite for 2014! 1. It Aims to Please :: One of the hardest things about planning a wedding, is the pressure of pleasing others while keeping to your personal vision. Luckily, Radiant Orchid is an extremely flattering hue that can stand on it’s own while working beautifully with other shades. 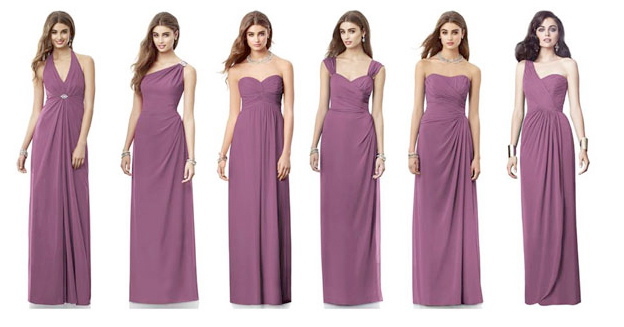 And it’s a perfect choice for bridesmaids as it complements cool and warm skin tones. 2. It Plays Nice With Others :: As evidenced by the 2014 Pantone Spring Color Report, Radiant Orchid can be paired with myriad colors to create color stories that range from the subdued (think Paloma, Hemlock & Sand) to the sensational (imagine Freesia, Dazzling Blue & Celosia Orange). Whether it’s floral, linens or light, it’s hard to go wrong with this versatile hue. 3. 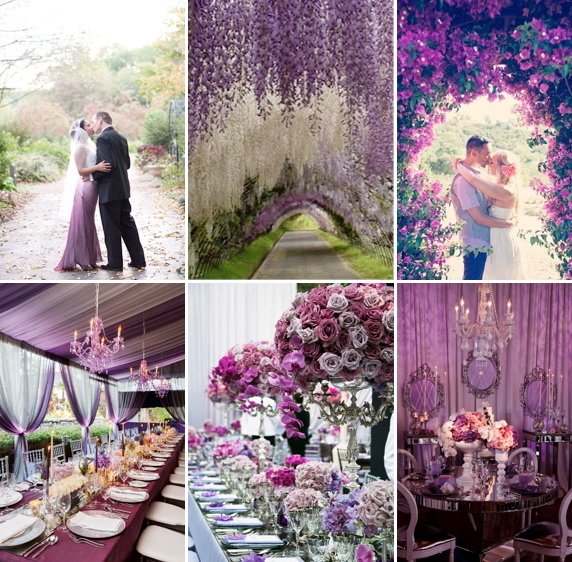 It’s Fit For Royalty & Oozes Romance :: Purple is equal parts regal and romantic and it certainly adds a hint of magical mystery and a romantic flair to any occasion. Don’t believe us? Check out these fairytale worthy images. This past weekend the hubs and I saw OZ The Great & Powerful and regardless of what you may think of James Franco’s go at the wizard, I hope we can agree that the visuals are absolutely spectacular. Eye Candy extraordinaire! 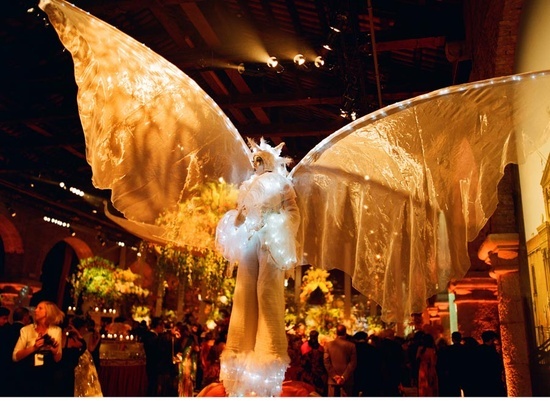 And seeing as how emerald is the color of the year, it just seemed fitting to share some ideas for events worthy of none other than The Emerald City. Early cinema and circus antics inspire the opening credits, so why not the invitation? A gorgeous emerald green tent sets the stage for a fantastical evening of drama and intrigue. Communal style seating with pops of green and gold — so festive! And seating fit for all matters of royalty. Cirque inspired performers provide just the right dose of entertainment theatrics. Poppies galore, a centerpiece must! Channel your inner Oz with a showy display of fireworks. For added inspiration, visit my Emerald City pinterest board.